Fresh week is here, and we have seen yet another New Release. Team firstshowz gives you a chance to express your view by voting for the film. We value your Opinion and Rating on this Movie. Please vote below and feel free to share it with your Friends, Family and other circles. 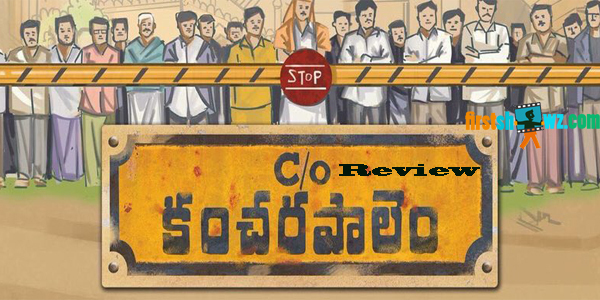 Care of Kancharapalem creates lots of buzz before its release and the celebrities had given thier emotional feedback on this movie. Maha Venkatesh who directed this film has ubba Rao, Radha Bessy, Kesava Karri, Nithya Sri Goru, Karthik Ratnam, Vijaya Praveena, Mohan Bhagat, Praneetha Patnaik in key roles. Macho Man Rana Daggubati presented with Producer Vijaya Praveena Paruchuri. The film's music is composed by Sweekar Agasthi.